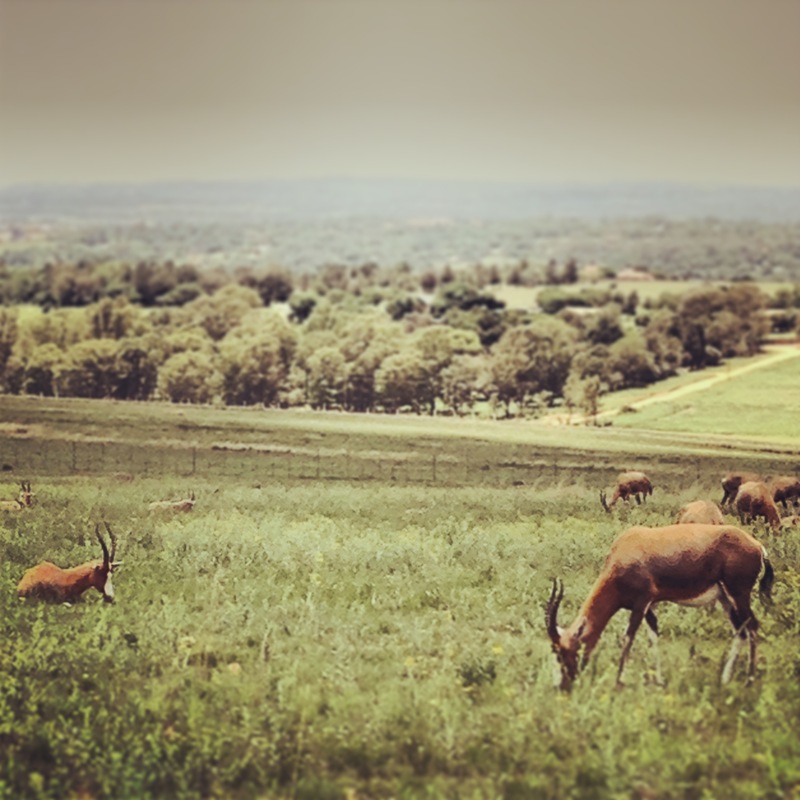 For those city slickers who don’t have the gall to trek out into the wilderness for the real experience, there are several zoos and parks around Johannesburg that offer an adequate animal adventure. Before you begin thinking that I’d make a perfect guide book author, I will now attack you with pictures, not words. Well, OK, maybe we’ll have some words. This is an ostrich, obviously. He’s actually pretty shabby. The rest of them were glossy and chic but I felt sorry for this little guy, who had zero photographic attention from my fellow zoo-goers. So I just blurred out his ugly bits, awwwww. 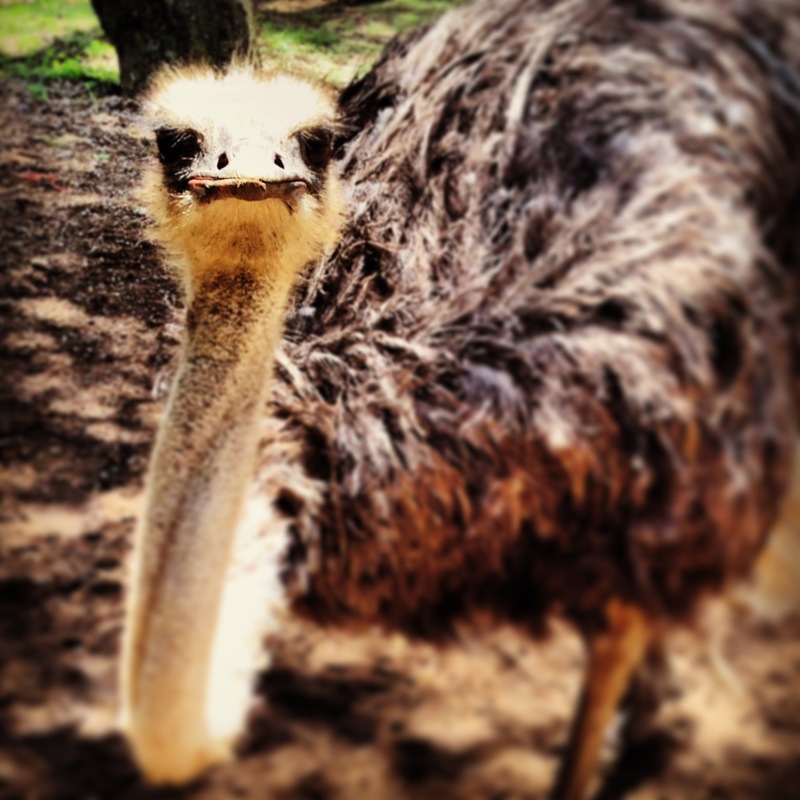 Did you know that an Ostrich’s brain is smaller than its eyeball? That’s pretty small. 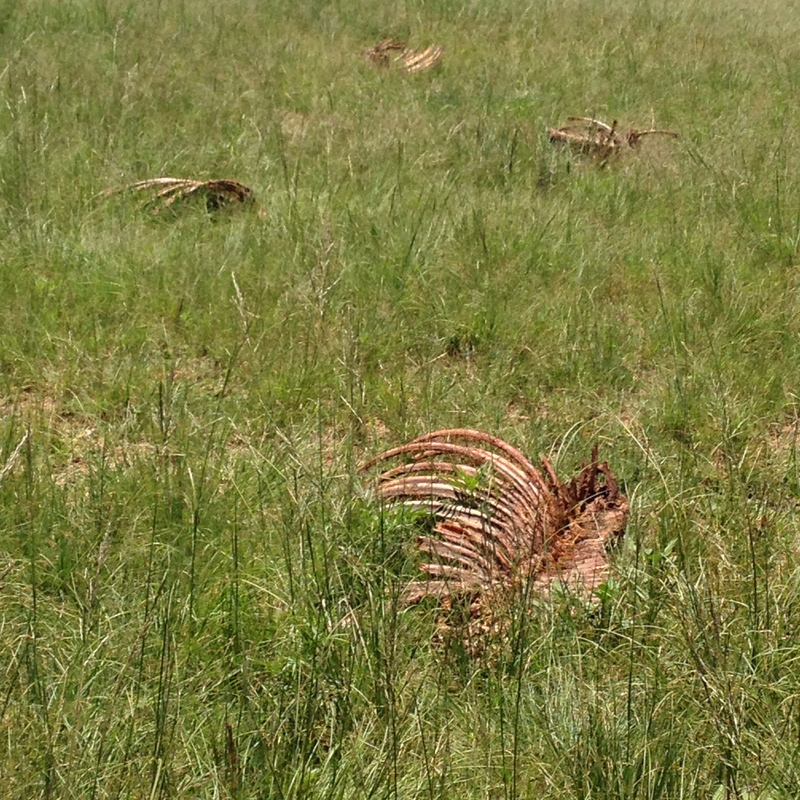 There are loads of giraffes just roaming around this lion park that we visited. Strutting their stuff. 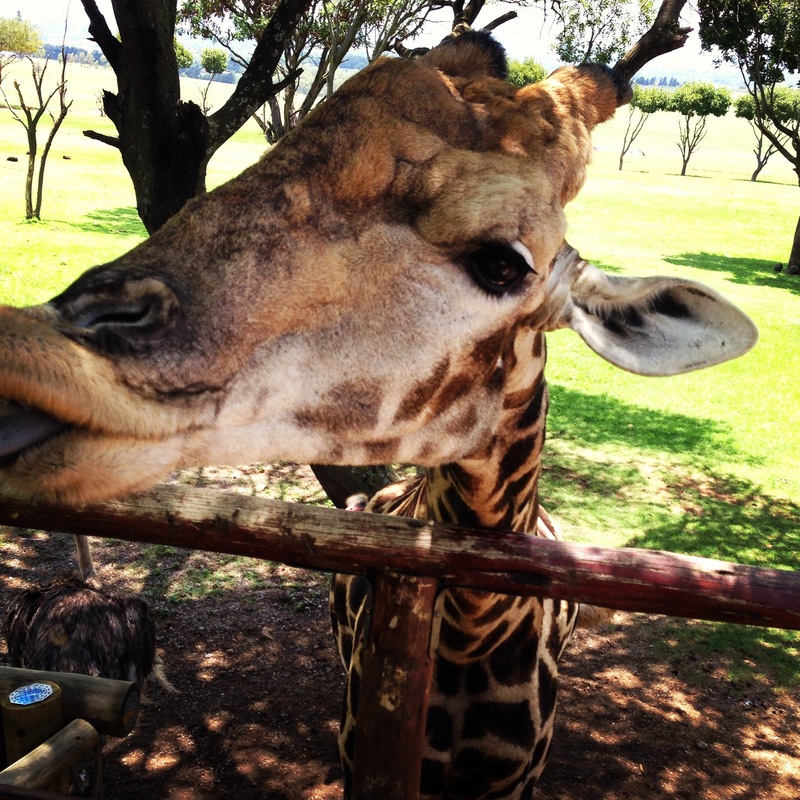 Being a giraffe in a zoo is a good deal because their day consists of being fed by tourists all day long. They love it. Watching them, plus reading the first 30 pages of Life of Pi has put any anxiety I may have had about encaged animals to rest. They love it. 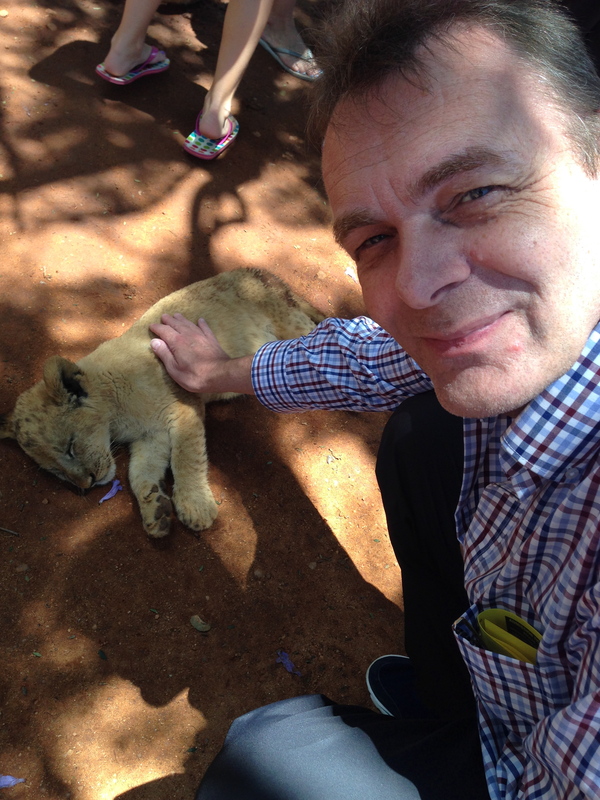 This is Dad, playing with lion cubs. It’s a bit anticlimatic if you ask me, because all of the cubs are as sleepy as they come. I think they must tranquilize them or something. I guess they are nocturnal- but whatever time of day, I’d be alert if someone was tickling MY tummy. 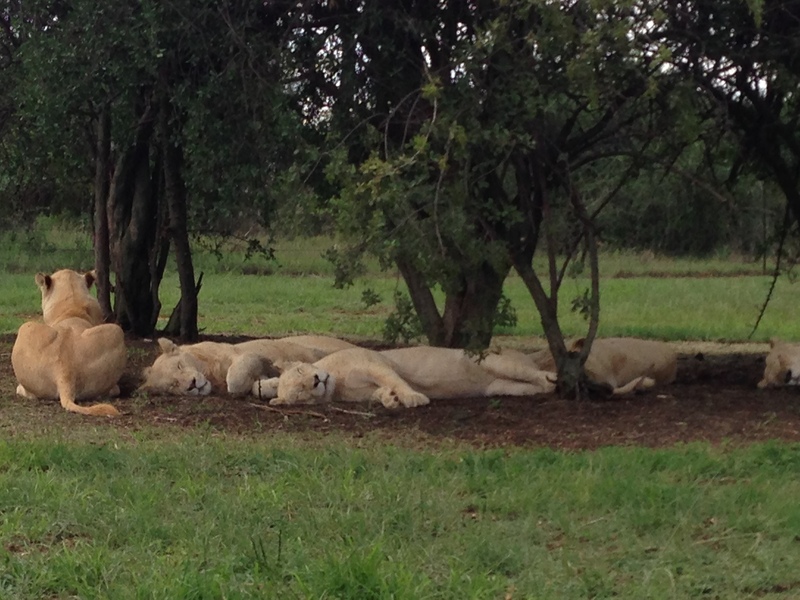 Here are some sleepy lions. 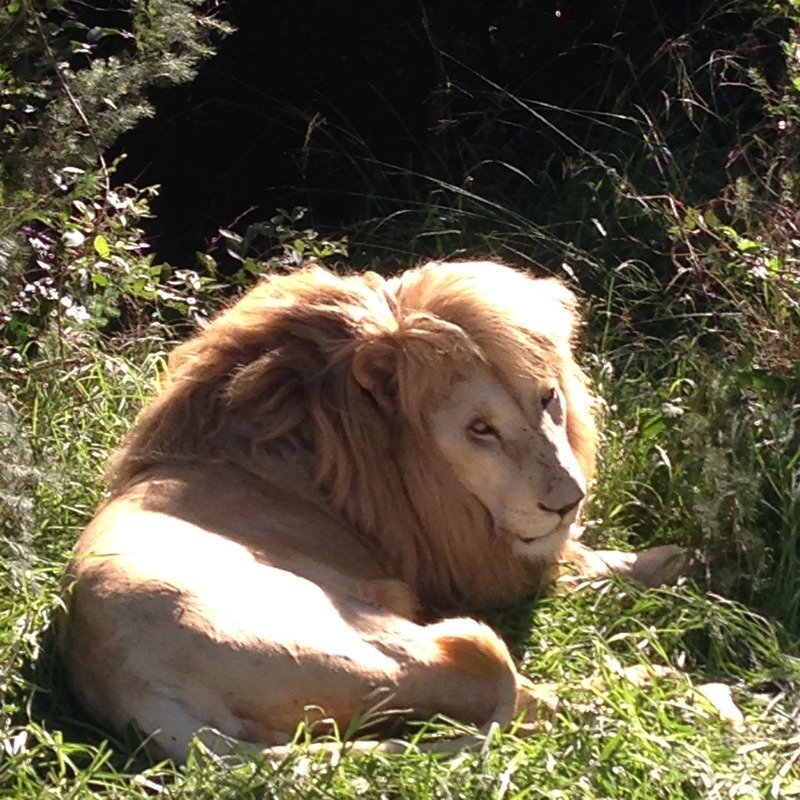 I couldn’t help but sing that sleepy lion jungle tonight song. I forget how it goes now. You know the one that people sing in a jokey way when people get “natural”. I know you know it. I cannot begin to describe the smell of broken dead chickens. It was hideous. The feeder would toss the carcass’ over the fence and you could hear the crack of its ribcage as it hit the ground. 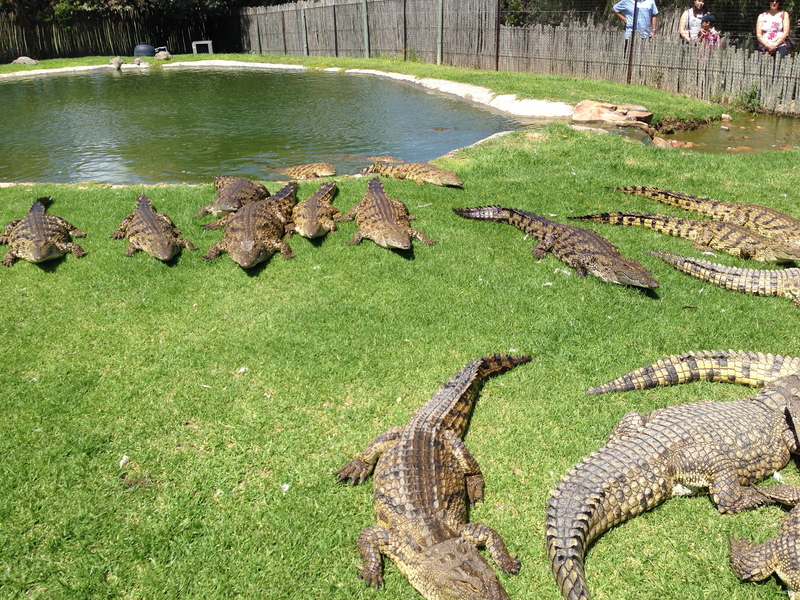 It only got more graphic, guts spilling out as crocs fought over their meals. One chicken, upon being chomped down on, spat out an egg. I’m not kidding. It sounds quite violent and really quite awful, but at the end of the day I guess it was just the circle of life. 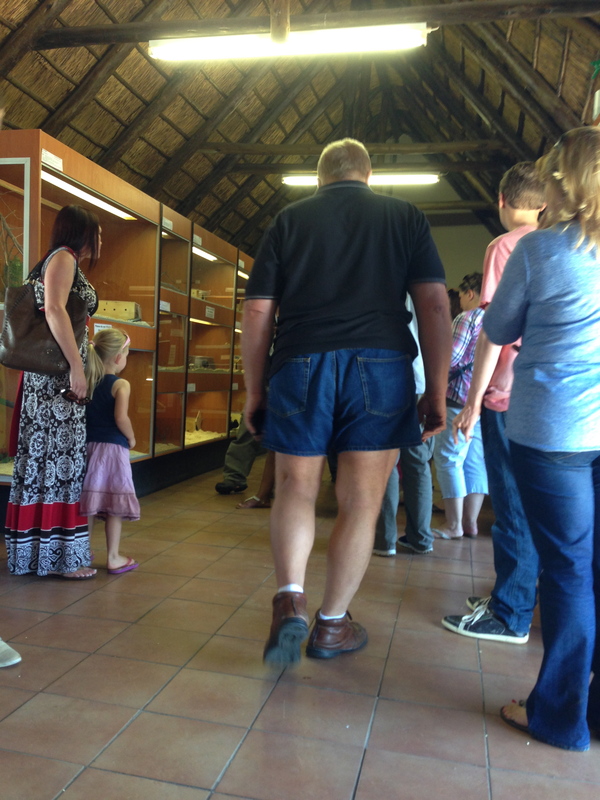 I mean I’d be lying if I said I didn’t once think “hmm I’d quite like a pair of crocodile shoes…” while out at this park. Oh OK here’s something: apparently mainstream fashion over here is pretty stuck in the 1990s. Regard: the short breezy shorts and tightly tied hiking boot. This guy was pretty safari serious. His muscular legs were definitely his most admired feature. I was absolutely dying at this view and then it just got worse as he turned to face me and started adjusting himself animatedly. It was the worst. 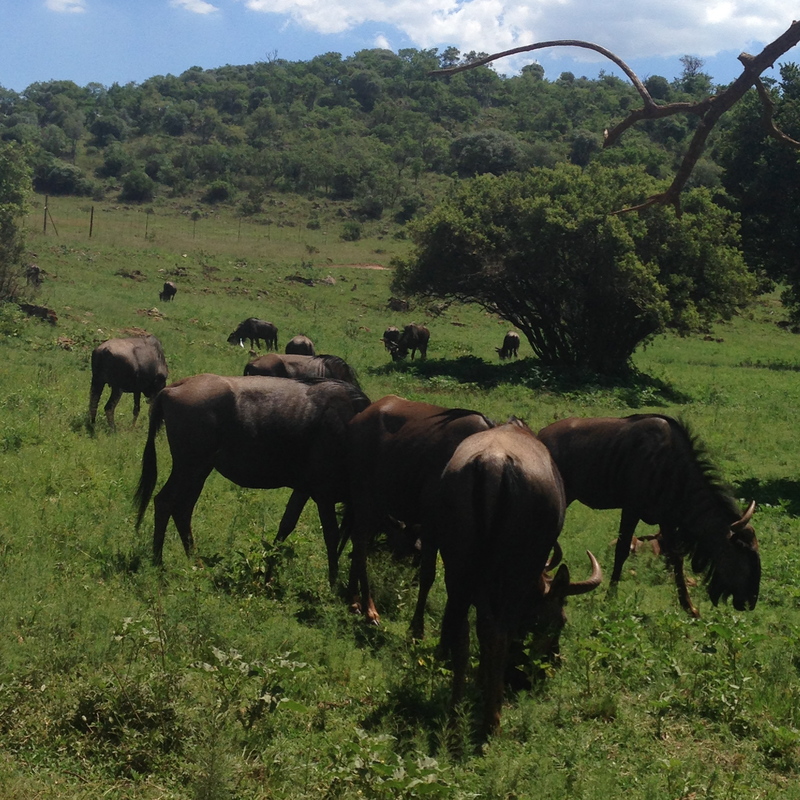 It doesn’t seem like a big deal here, but everywhere you turn you’re running into some springback antelopish things. I ended up buying a masaii beaded version of one of these animals, don’t ask me WHY but I suppose one day when I have a place larger than the size of a shoebox, it’ll look quite nice in a bookshelf or something. Gosh are you sick of the animal kingdom yet? Stay with me- remember, we’re friends. 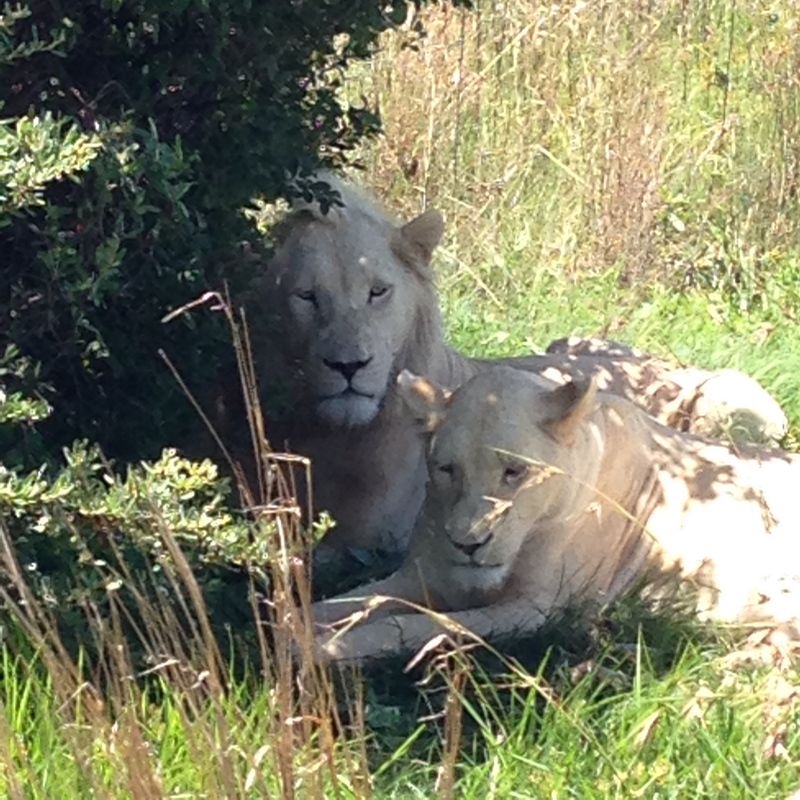 We went to another safari park the other day and it was a lot of the same, only here I got a little closer to some rhinos (which just look like dinosaurs, let’s all get serious) and more lions. 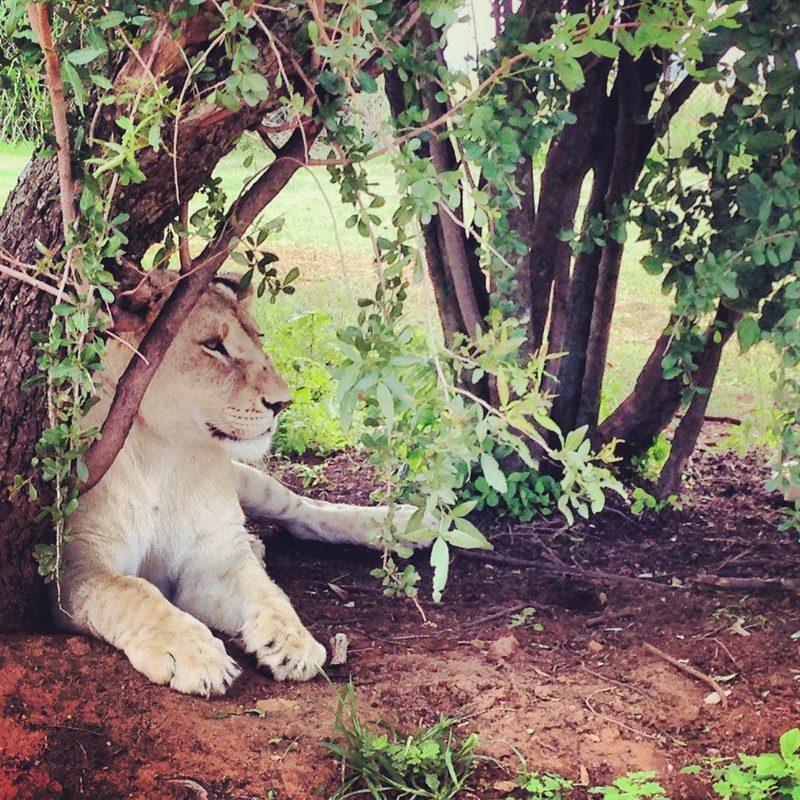 The absolute most disappointing thing happened to me when we were parked right next to two teenager lion lovers: I was recording them getting up from their afternoon nap, the lady lion led the way to a clearing followed by the boy lion… PHONE DIES… lady lion settles herself down and boy lion mounts her for some good old hanky panky. 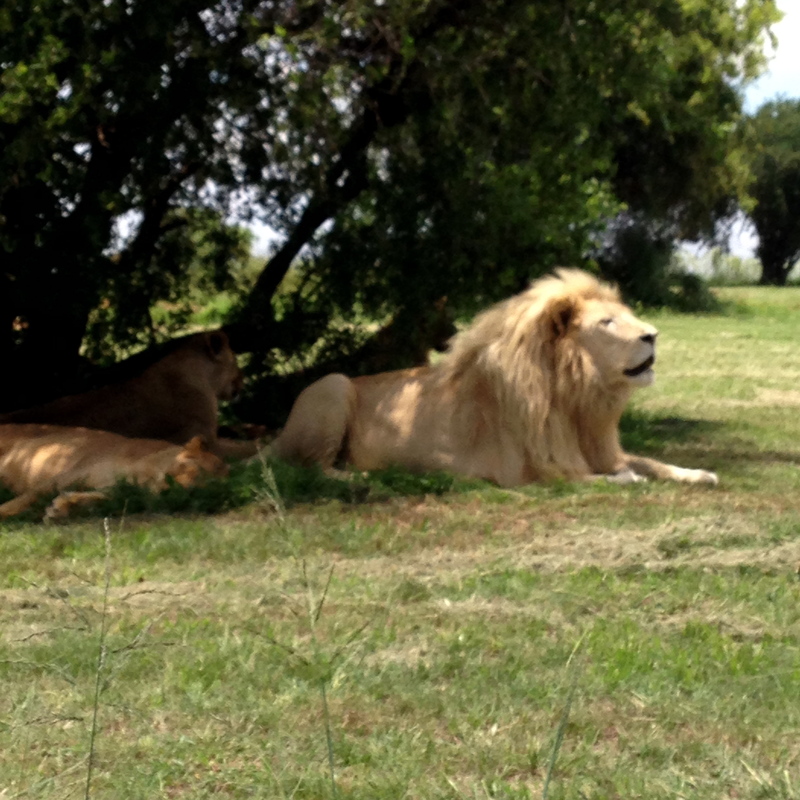 On the other side of the reserve, we found a super scary alpha lion. He was napping when an obnoxious tourist started yelping and squealing. He whipped his head around and gave her the stink eye. 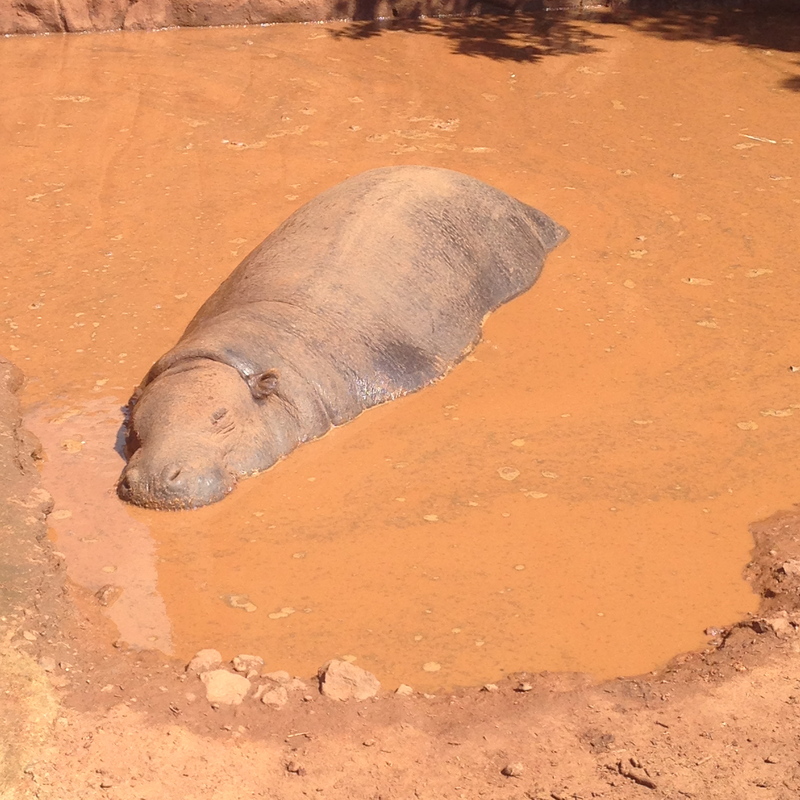 Here’s a hippo and he’s filthy. 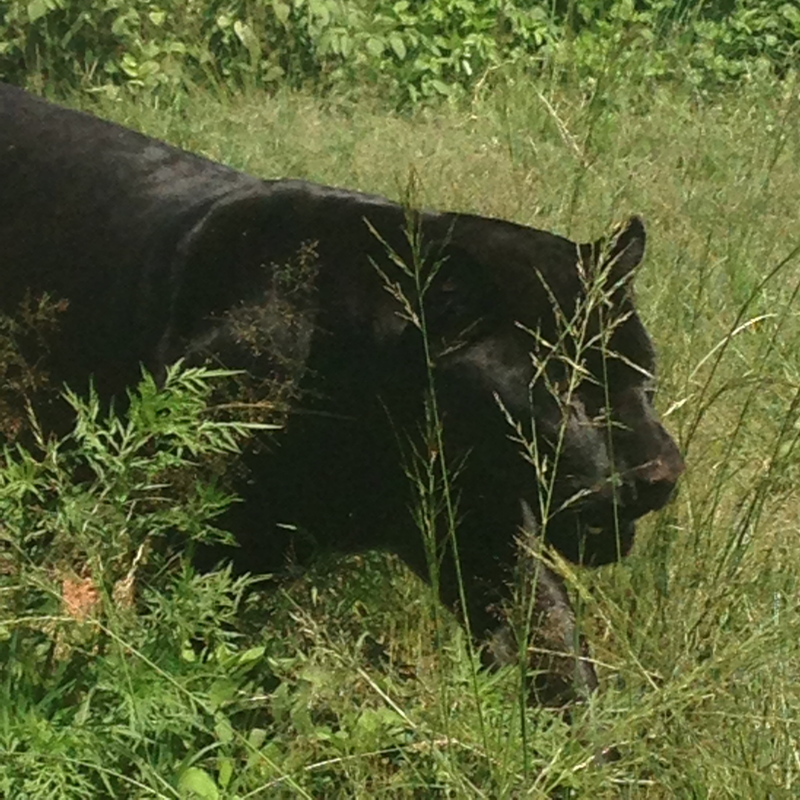 That’s a jaguar, slinking through the grass. 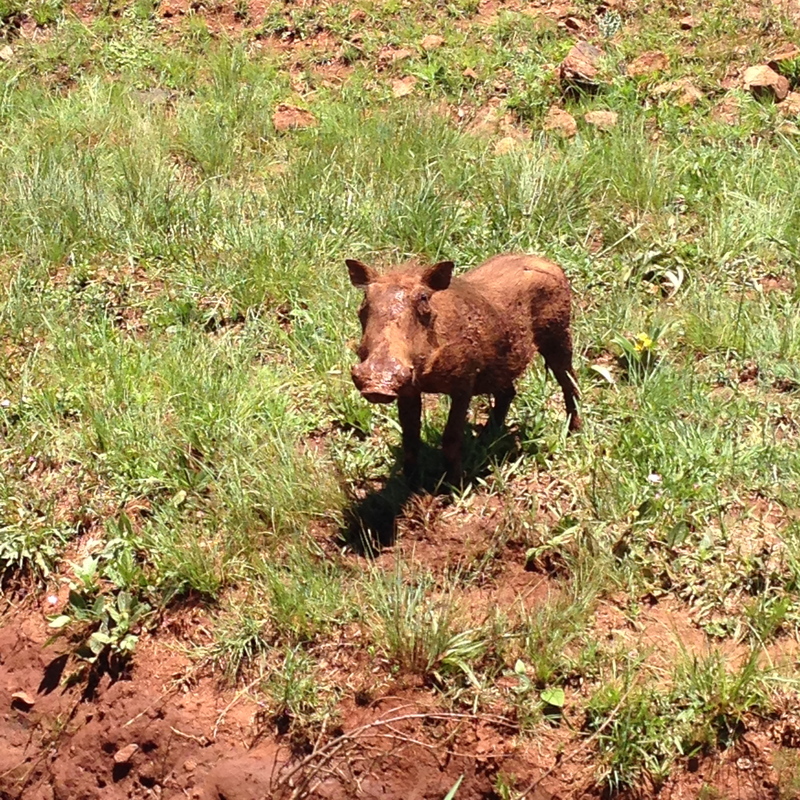 I contend that she’s the most beautiful of the animals I’ve seen thus far. more wilderbeasty things, just grazin’. Ah yes, some stray ribs, licked clean. We thought it had gotten a little smelly, and then lo and behold we stumbled across a graveyard feeding ground. Gross. Pumba.